Great for learning measurement equivalents. This is a great set for learning measurement equivalents. 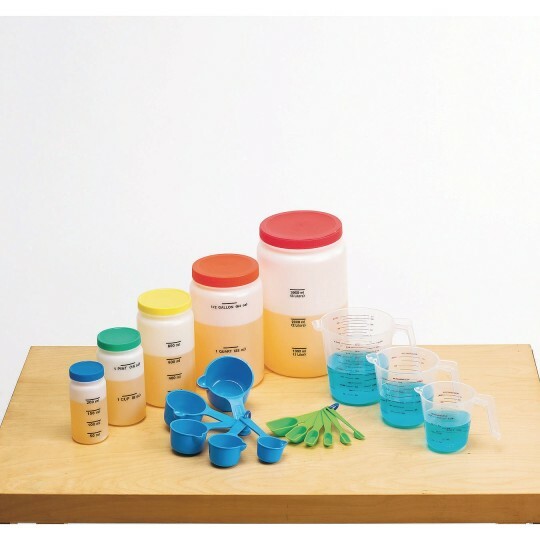 Made of plastic, each piece is marked to help students gain an understanding of liquid measurement and metric conversions. Set includes 5 Nesting Measuring Bottles with 5 Lids, 3 Measuring Jugs, 5 Measuring Cups and 6 Measuring Spoons.